Cavin Balaster’s story is an inspiration to all that know and follow him. After falling off a two-story building in 2011 and nearly dying, Cavin used functional medicine to aid his recovery from his resulting traumatic brain injury. In this podcast learn how Cavin connects the ketogenic diet and traumatic brain injury to aid in brain recovery. While emergency medicine saved Cavin’s life after his injury, he gives more credit to functional medicine and the ketogenic diet for improving his quality of life in his recovery. 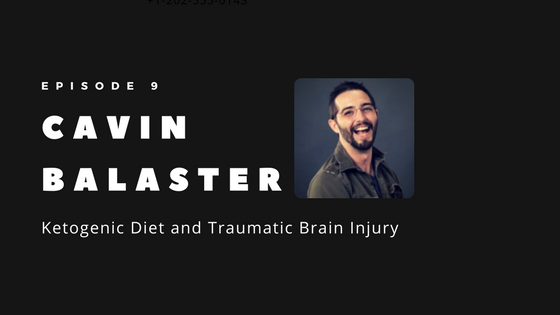 Ketogenic diet and traumatic brain injury are gaining more attention and Cavin Balaster is a big reason for the connection between the two. His work to spread awareness and change the way we support those recovering from traumatic brain injury is changing the quality of life for those suffering from brain injuries. This podcast is brought to you by Heads Up Health, a web app designed to help you centrally track all of your vital health data. Instantly synchronize your medical records, connect your favorite health devices and apps and use your data to optimize your health!